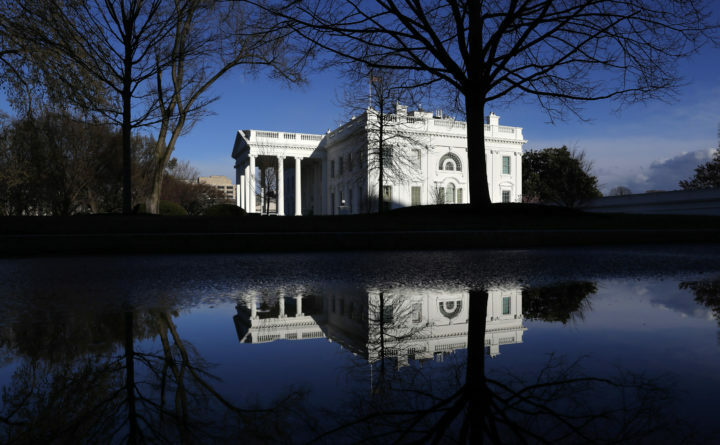 The White House is reflected in a puddle, Friday March 22, 2019, in Washington, amid news that special counsel Robert Mueller has concluded his investigation into Russian election interference and possible coordination with associates of President Donald Trump. The Justice Department says Mueller delivered his final report Friday to Attorney General William Barr, who is reviewing it. Mueller's report, still confidential, sets the stage for big public fights to come. The next steps are up to Trump's attorney general, to Congress and, in all likelihood, federal courts.